If we look at the well planned propaganda against Pakistan Army in last few years the purposes behind the disgracing letter become much clear. Definitely the letter consisting of 834 words is aimed at taking the same benefit which was taken by “Military Incorporate” a book written by Dr. Ayesha Siddiqa (Famous Pakistani writer in India). Although at that time army is not ruling the country now but enemies know that in the presence of Pak-Army they cannot hurt integrity of Pakistan. Then it is fact that letter of Colonel Hareshpuri has strengthened the propaganda of American media that either Pakistan army has been defeated by terrorists or it is not capable of tackling them and if above mentioned both views are wrong then Pakistan army is secretly supporting Taliban. 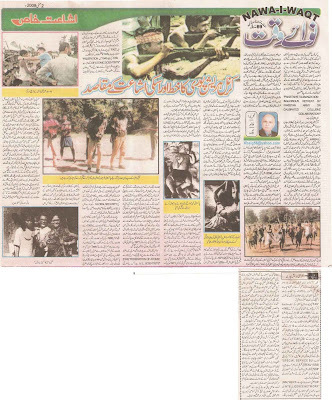 Readers recall the situation before operation on “Lal Masjid” (Red Mosque July 8, 2007), not in the foreign media but in Pakistani Private T.V. Channels, Mualana Abdul Aziz and his brother was claimed as B-Team of Pak-Army. Every hour of the day the question was repeated why operation is not conducted against these religious extremists present in the Capital. After this simple people got convinced that their so called intellectuals are not telling lie. And after the operation the analysts on those T.V. Channels who were forcing army to conduct the operation, started blaming Pak-Army for deaths of innocent people. This situation is such prevalent like status-quoi. A social group of our country wants that in the name of Taliban and Extremists followers of religion should be eliminated. On the other hand there are agents of enemy claiming to be Taliban who are now clearly stating that in the name of implementation of Sharia/Islamic law they want to turn Pakistan into a destroyed country like Afghanistan. They want that Pakistan army leaves eastern borders and gets busy in tackling unrest on the western borders. When Pakistan army gets tired and overwhelmed fighting on western borders while eastern borders have been left unguarded, then India will stage a drama New Delhi Parliament attack or Mumbai attack and as a reaction attacks Pakistan from eastern borders. 1. Silence of Pakistan Army on Flogging of a girl in Swat (This video has been proved fake). 2. 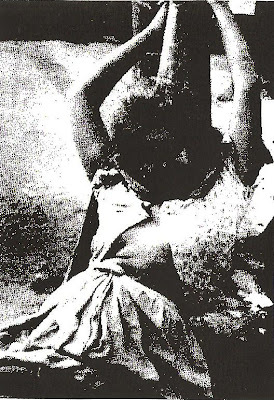 Defeat of Pakistan army in 1971 in eastern Pakistan. 3. Increasing religious extremism and Talibanization in Pakistan. There is no doubt that in eastern Pakistan, Pak-Army had to lay down weapons and this is also fact that this incident will follow Pakistanis and especially Pakistan army forever. Because a pro-Indian group of journalists and intellectuals present within Pakistan wants to keep that incident alive as disgrace and humiliation. Here I would like to mention Hitler. We know only what has been told to us by Jewish media during last six centuries about his character, and wars. Leaving aside the other nations of world, do the Germans get afraid while thinking about the positive aspects of Hitler? In most countries of Europe laws have been made to punish those who do not think Jews as oppressed and Hitler as cruel. In this way only through the propaganda the hatred against Hitler has been filled in the minds of people. International media has mutilated the facts about 1971 Pak-India war, its reasons and results in such a way due to their enmity against Islam. They represented lie as truth and this process is still going on. How Mukti Bahni did get established? 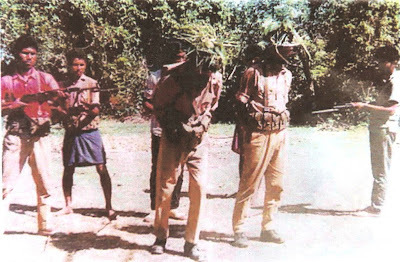 The trained Gorillas of Indian army veiled as Mukti Bahni attacked cantonments of Pak-Army, raped their women, slaughtered infants and conducted war crimes. World has been kept ignorant of all of these facts and war crimes. Now within Bangladesh dozens of books have been published which unveil the role of Hindus, few Muslim politicians and India. These books accept that incident of 1971 was not a military defeat of Pakistan but success of Indian conspiracies. However out of Bangladesh and that in America the first truth have been spoken by an American institute “Federation of Atomic Scientists (FAS)”. It has unveiled role of Indian RAW in the separation of Eastern Pakistan in its report based upon American secret documents. Not only this, what is the role of “India and RAW” in current situation of Pakistan is also discussed in report of FAS. Here I would like to give a brief introduction of FAS. The foundation of FAS was laid scientists who prepared first nuclear bomb in 1945. The purpose of FAS was to guide world about science for analyses. Afterwards keeping in view the increase in number of nuclear countries its name was changed and its purposes were widened. The main focus is Global Security of general public and increasing concerns about it especially in nuclear countries. The report states, “The work was started on increasing the feeling of insecurity, hopelessness and hatred in the minds of eastern Pakistan against western Pakistan in 1955 by India. In this Hindu investors of Eastern Pakistan and afterwards pro-secular Muslims were on front. However after 1965’s Pak-India war, India increased financial support. People of liberal minds were given task to brain wash others, they prepared pamphlets and booklets consisting of propaganda against Pakistan with the Indian finances”. 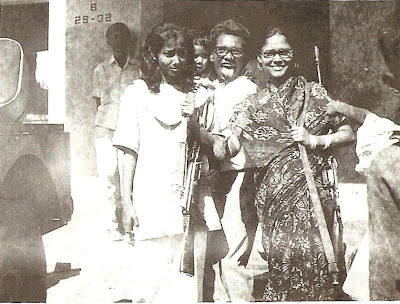 The Bengalis ready to disintegrate from Pakistan were given financial support. The newspapers owned by Hindus were already active against Western-Pakistan. 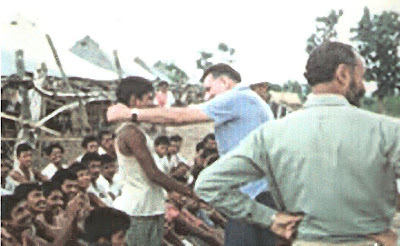 Afterwards the newspapers published from Dhaka were also forced to spread hatred against western-Pakistan; their owners were patriots and were Islamic. Every newspaper was bound to publish two articles against western-Pakistan proving it as tyrant and parasite on Eastern-Pakistan. All these were articles were prepared in centers in Lucknow and Calcutta by Indian scholars. Later on these articles were published in newspapers of eastern-Pakistan by the names of different columnists. These columnists were paid for use of their names. 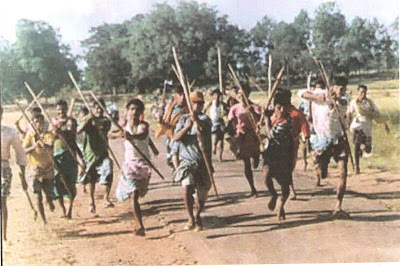 Till 1970 RAW has been able to complete registration 30000 Bengalis who has to be included in “Mukti Bahni” force. The generosity of India was so much that as soon as person got registered for Multi Bahni he was paid monthly pay. 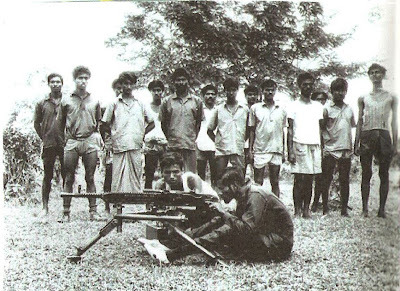 Later on they were transferred to Indian training centers in the form of small groups where they were trained for Gorilla Warfare and mass murders. All the deals have been made for separation from Pakistan with Sheikh Mujeeb. 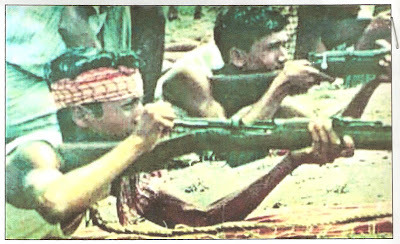 In the elections of 1971 after Awami League Sheikh Mujeeb got defeated a campaign in the name of unfair elections, it has been converted into armed Indian interference from civil war. KGB of Soviet Union has opened a special office for supporting India. RAW has been also successful getting in contact with some influential personalities of western-Pakistan. They played an important role in worsening the political problems to war after elections of 1970”. FAS has calimed in its report about current situation of Pakistan that “RAW infiltrated 35000 trained personnel from 1983 to 1999. Some of them entered on Visas and hid in Pakistan while others succeeded in crossing the border in different reigns from different areas. Out of the approximately 12000 are active in Sindh, 10000 in Punjab, 5000 in Baluchistan, and 8000 in Khyber P.K. (NWFP) and other tribal areas. According to report in order to continue activities of weakening of Pakistan India is running 40 training camps. These camps are in Rajisthan, Eastern Punjab, Held Kashmir, Uttar Pradesh, Maharashtra and New Delhi. These camps are working under subsidiary of RAW, Special Services Bureau (SSB). SSB is responsible for planning and conducting acts of terrorism in Pakistan”. The above report of FAS is also available on “News Intelligence Network (NIN)” in which a separate chapter has been given about Mukti Bahni consisting of 2 Brigades. They played in defeating Pak-Army from three sides on long border. Readers it is not possible to include the full report of FAS in this article. But from this brief analyses it is clear that from the very beginning India started conspiracies against Pakistan for Great India. This is still going on. We can only face it only by being united. However if some damn people think that they will become kings of their part after disintegrating Pakistan then they should learn lesson from problems of Bangladeshi people and end of Sheikh Mujeeb. Moreover saying of Colonel Harish Puri that pictures of Pakistan Army laying weapons in front of Indian army are present in every Indian army mess which makes him and colleagues like him having sensitive heart make them sad. In order to remove his sorrow he should consider 1200 years old history of Hindu soldiers of subcontinent, he will know that his ancestors laid weapons not only for 1 or 2 times but many times in front of Muslim army. They not only laid weapons after defeat but their beliefs, culture, and identity. What will be the proof more then that in New Delhi, Lal Qila is still an important building? The Picture quality may not be very good due to being very old.